For many of us in the U.S. celebrating Thanksgiving, it’s a time for family, friends, food and even football, with thousands of pickup flag football games kicking off this crisp autumn Thursday morning across the country. It’s also an opportunity to reflect on what we’re grateful for. And with so much in that category, we felt it would only be right to express a few of those things here. It can be easy to take for granted, but here we pause for a moment to appreciate the things in life that really matter: our opportunity to live this life we’ve been given, our families, friends and loved ones, our bodies, our health and our vitality. Without those, we wouldn’t have much going for us! 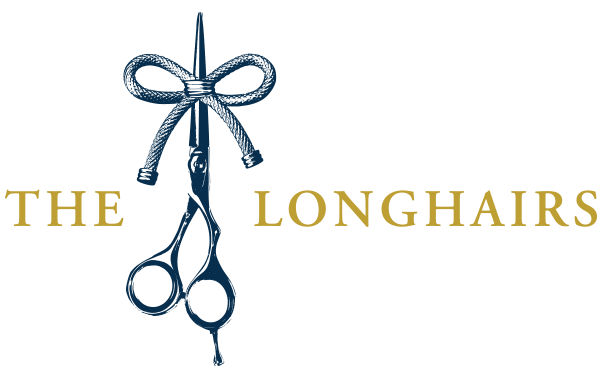 From the moment the idea was conceived, we believed The Longhairs was going to be special. Early on we recognized the camaraderie among guys with long hair, just out in public, seeing a fellow longhair and giving him the high sign. But we didn’t realize the true community that would grow from it. From guys telling us this community has helped their confidence, to inspiring them to keep growing when they were about to cut it, to just having a place where they’re not faced with ridicule for having long hair. This community has taken a life of it’s own, and we are eternally grateful for each and every man and boy, aspiring longhair, advocate and supporter who has showed up here. We have been blessed with the flow, but there are millions of children who live with medically-related hair loss. 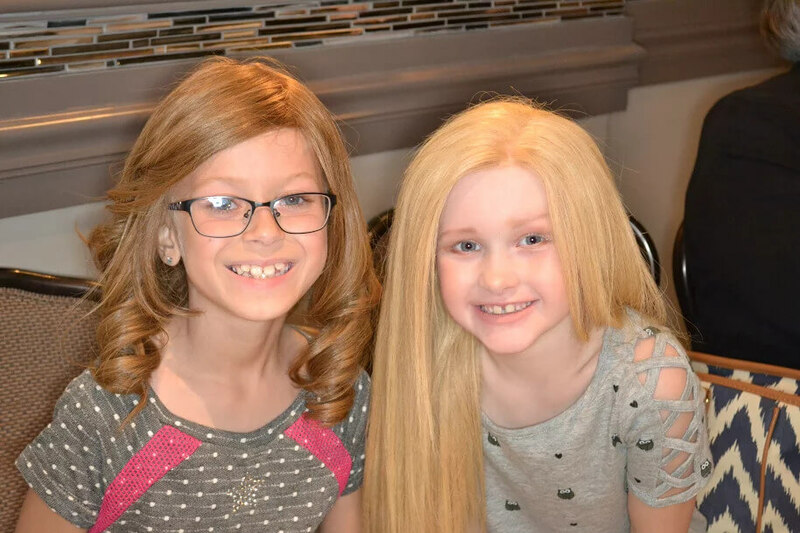 For us, growing our own hair can be easy to take for granted, but for the kids who just want to live a normal life, the painful effects of hair loss go far deeper than just cosmetic. 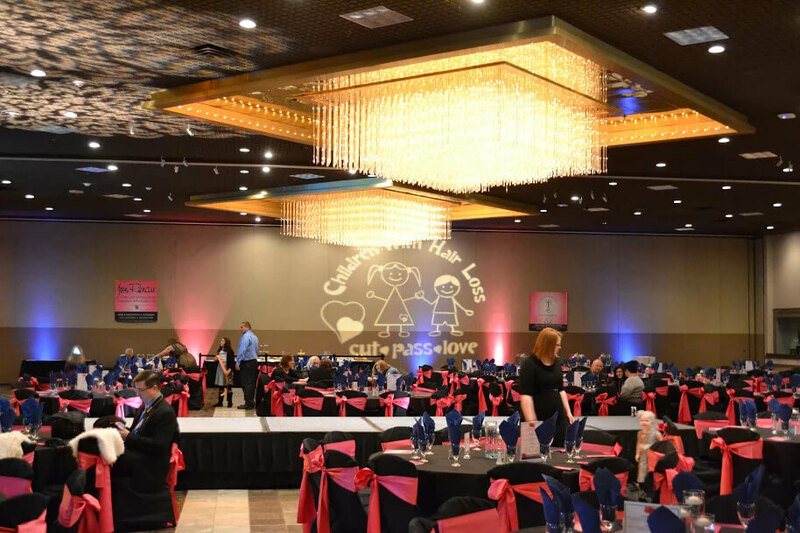 Last month we kicked off our new charity partnership with Children With Hair Loss, sponsoring their 14th Annual Charity Ball with a donation of $1,620. That means if you purchased anything from our shop between June and August, you chipped in on that donation! 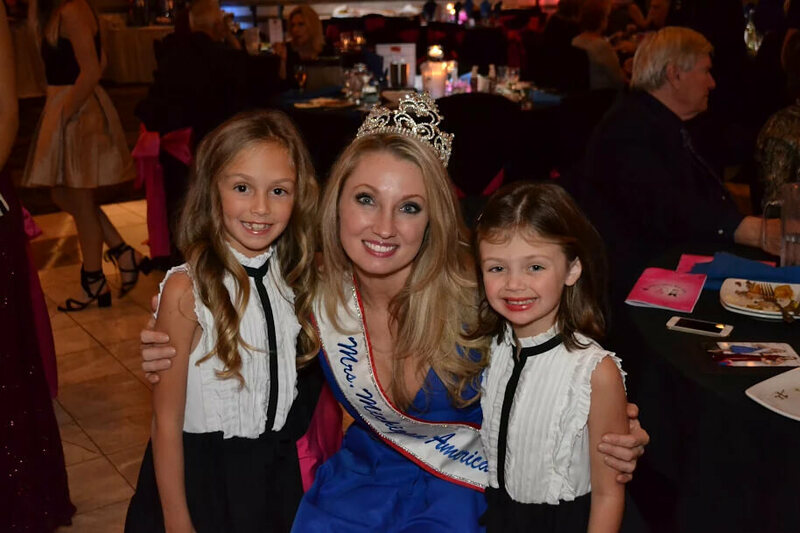 This year’s Charity Ball, held on November 4th in Livonia, Michigan, was a huge success. 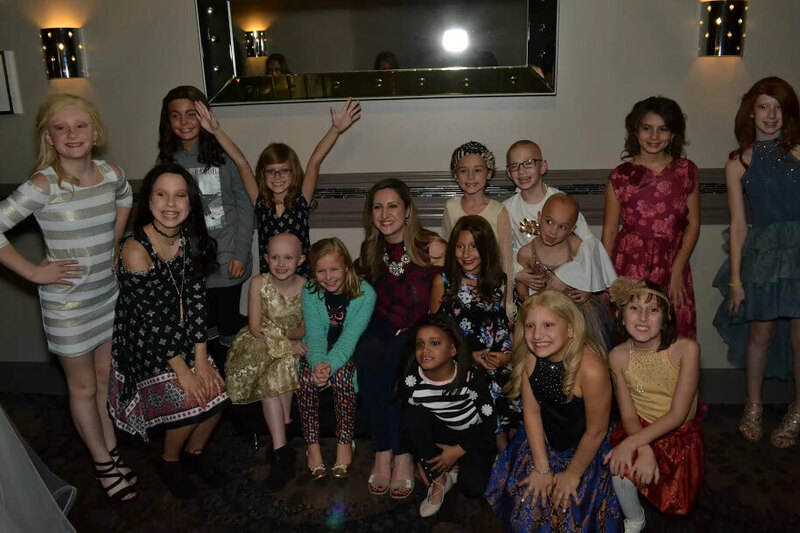 The event was hosted by Detroit’s own Amy Andrews, WJBK FOX 2 News Reporter, and featured Kayla Martell, a child recipient who was diagnosed with alopecia areata at age 10, and was crowned as Miss Delaware in 2010. 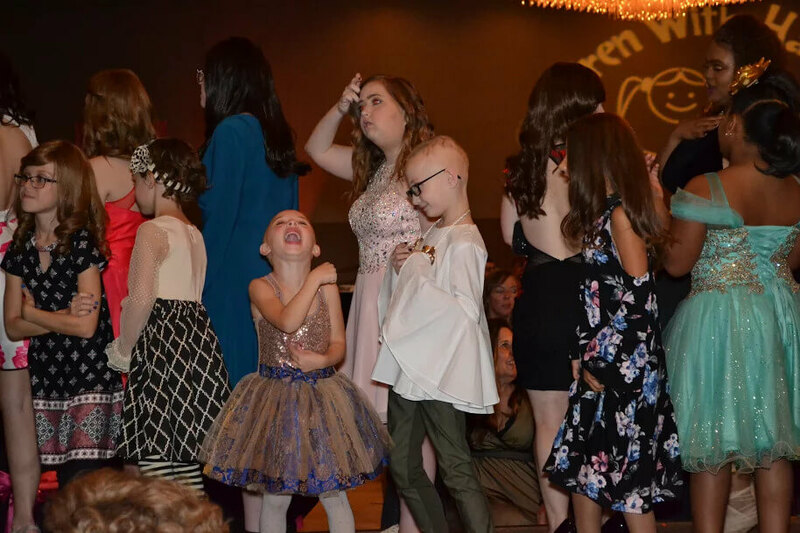 The evening included a fabulous hair & fashion show, featuring more than 40 recipient children ranging from ages four to 21, many who traveled from far and wide across the country. Recipients had a broad range of reasons for their hair loss, including alopecia, cancer, burns, lupus and trichotillomania. 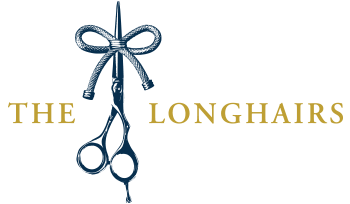 In addition to The Longhairs’ donation, we sponsored a gift package with 40 packs of Hair Ties For Guys™, an assortment of headwraps, hair serum and Longhairs referral cards, some of which were offered for sale at the event and some as auction and raffle prizes. 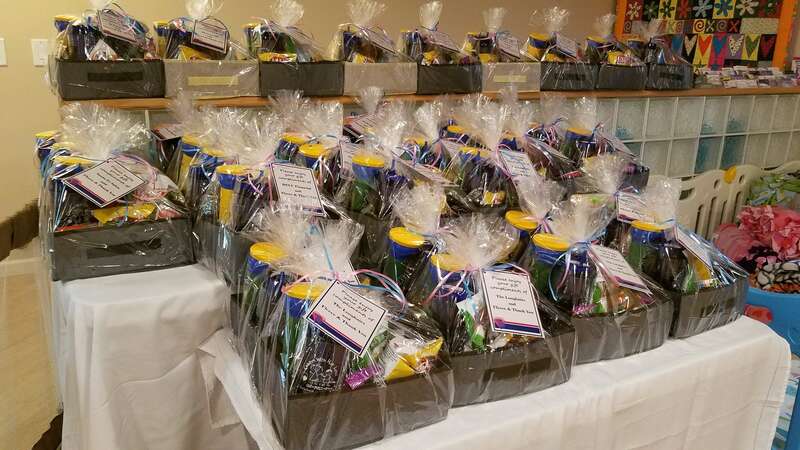 Each CWHL recipient model received their own welcome basket of goodies dedicated by The Longhairs. In all, the 2017 Charity Ball was a smash hit, with over 450 people in attendance raising over $100,000! All profits from the event directly benefit CWHL and their recipient children in support of their mission, Covering Young Heads to Heal Young Hearts. But our team in Michigan has had to turn their attention quickly from their big success. Immediately on the tails of the Charity Ball, CWHL entered into a contest with four other charities for a chance to win a $10,000 donation. Sponsored by Level One Bank, in celebration of their 10-year anniversary, the winner will be chosen by popular vote online, with voting taking place until November 24. At the time of this post, our partners are in 1st place but embroiled in a battle to the finish with another charity. There have been at least five lead changes as the two frontrunners battle for more votes, and it’s anyone’s game at this point. CAN THE LONGHAIRS HELP OUR TEAM PUNCH IT INTO THE END ZONE?? Here’s the thing: we can really make this happen! We have enough longhairs, advocates and supporters in this community to blast Children With Hair Loss into first place and never look back. Vote from every device: desktop, mobile, tablet, etc. To open an incognito window, click on the 3 dots or slashes in the upper right of your browser, then click “new incognito window.” Once you’ve voted you’ll need to close that window entirely and follow the process again. How many times can you vote? We’ve voted 5+ times each among El Moreno and El Rubio, if each of you can match us we can almost surely punch it into the end zone for our team! 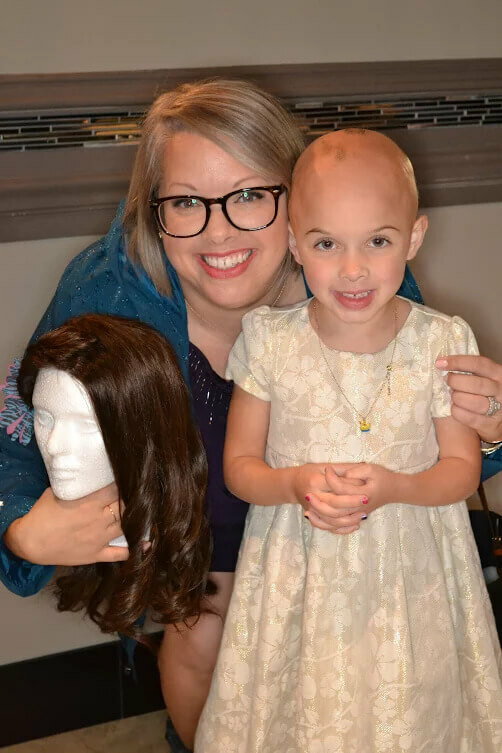 This would be a huge win for Children With Hair Loss, and a chance for us to make a major difference in the lives of children. For that reason we’re asking you to vote as many votes as possible. So leave a comment below, let us know you voted and how many times. While you’re at it, tell us something you’re grateful for. With our deepest gratitude, Happy Thanksgiving Longhairs! Easy Peazy ! & I’ve done a good deed today ! 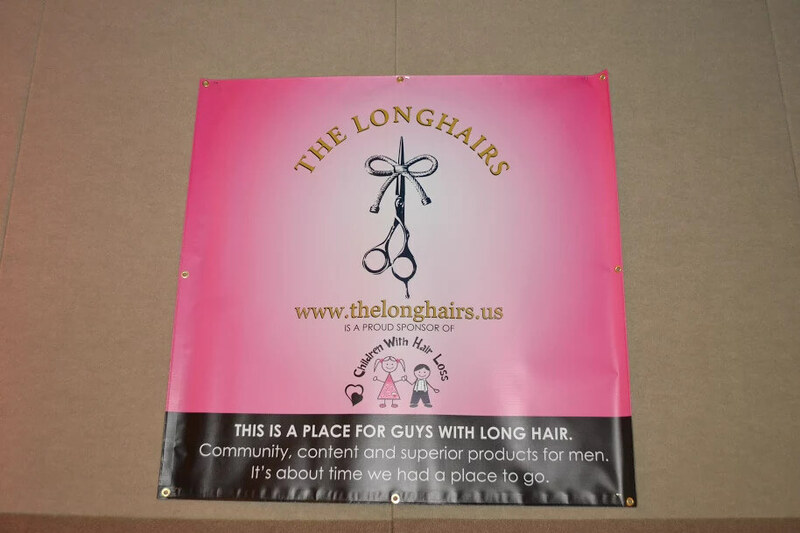 Thanks for the Support Longhairs !! Great to hear of the split.